Improvised stoner/doom metal from Hong Kong, currently based in New York City. Their line-up changed quite a bit over the time for various collaborative efforts and release before their debut album "Surya" appeared. 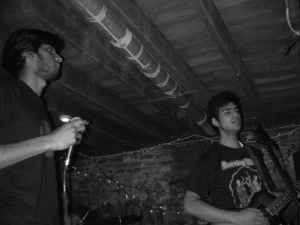 "Surya" was recorded in June 2007 and self-released on CDr in Fall 2007, before getting a proper CD released in September 2008. The second album "Kailash" was recorded in November and December 2008, with Indy Shome, Raj Narayanan, Brett Zweiman, Andrew Jude Riotto, and Chris Dialogue. The initial issue of the album is a condensed version (60 minutes of the full 71) of the album on cassette tape on Abandon Ship Records in March 2009.